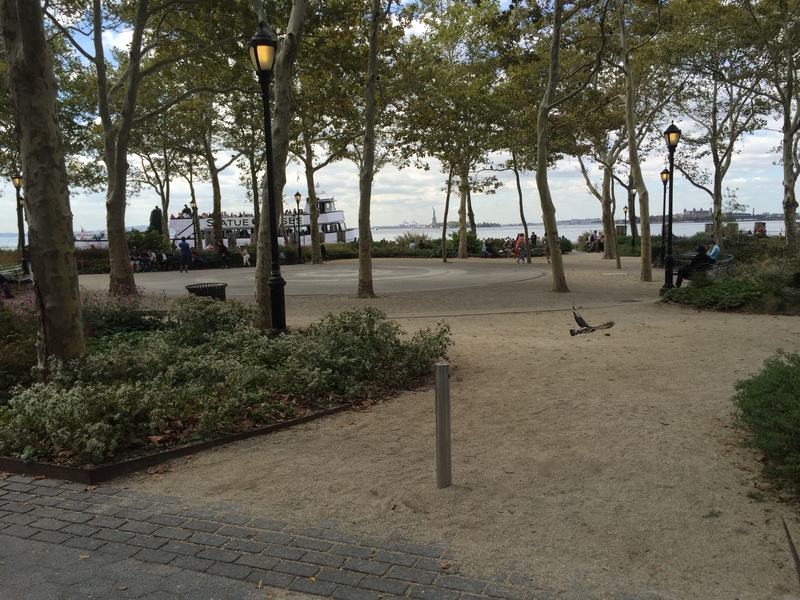 Battery Park is an often overlooked and underrated part of Manhattan that many tend to forego and I am here to tell you otherwise! It is probably my most favorite part of Manhattan, and the only part that I would actually consider visiting on my days off. 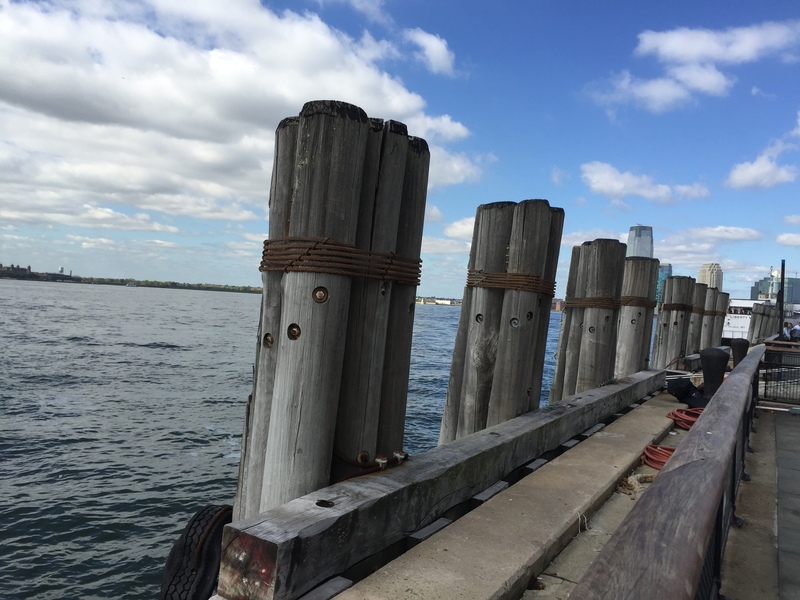 Located on the most southern tip of the island, Battery Park serves as the front row to anyone who is looking to sneak a peek at Lady Liberty. Once you are in the park, you tend to forget that you are in the bustling city all together. 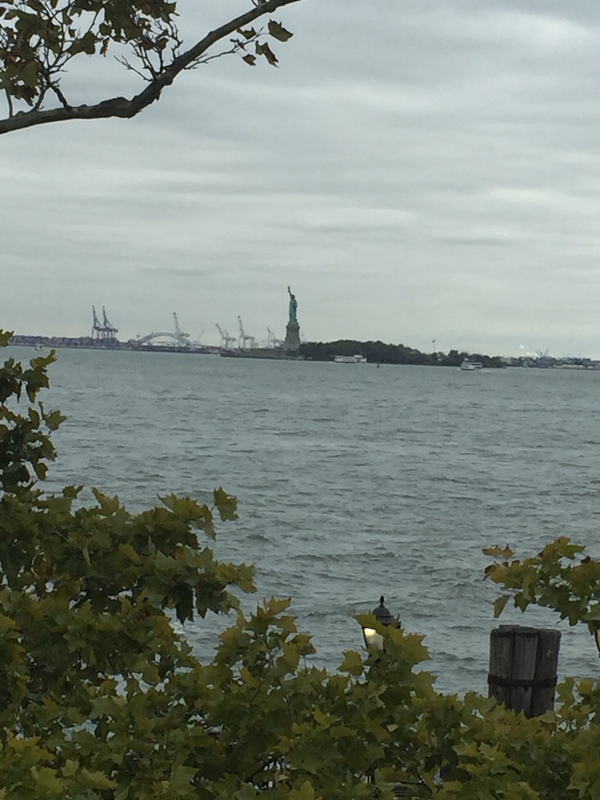 Somehow everything becomes quiet and you are introduced to the most beautiful view of Ellis Island and the Statue of Liberty. To me, this park breathes history! I can almost see the immigrants traveling on boats from Ellis Island and coming to the docks to start their new American Dream. 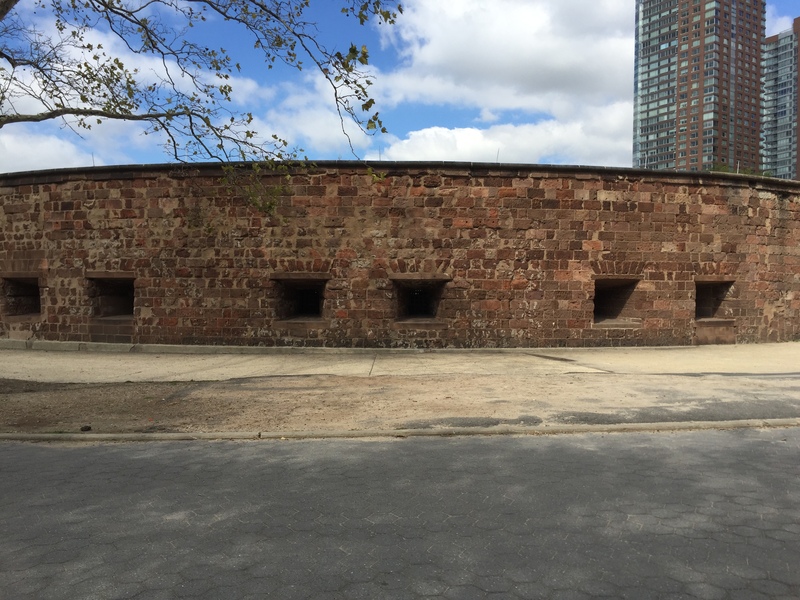 Back in the days of the early Dutch settlers, the park housed artillery batteries, which served as protection to the new settlement behind them. 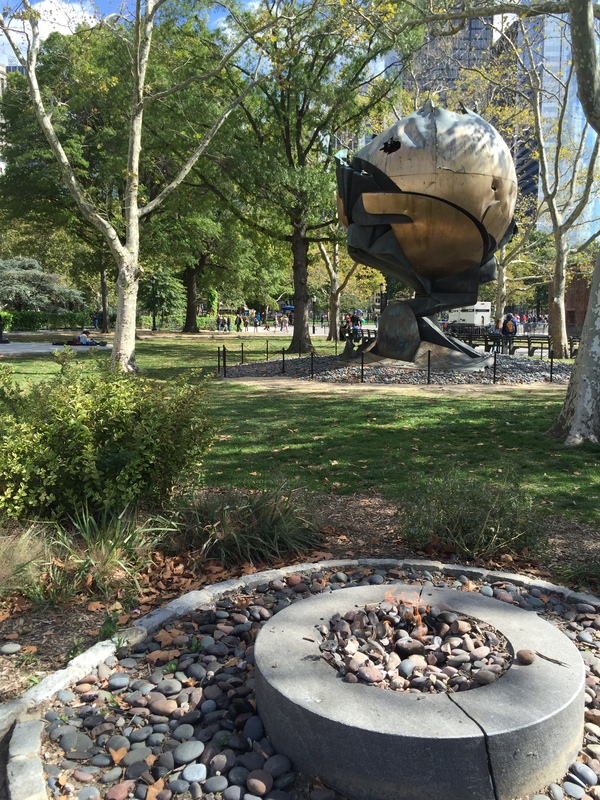 Recently Manhattan’s birthplace park has undergone many positive changes. Aside from various renovations, there are many new upgrades that were implemented in the area’s development. With the recent health boom, there is now an organic garden called “Battery Urban Farm”, whose produce is donated to participating school cafeterias, a new water front restaurant called “Pier A”, a renovated Staten Island Ferry station and new lawns and pavement all throughout the park – this was implemented after Hurricane Sandy hammered through the docks in late 2012. There are more than a few things that are worth checking out when at the park. 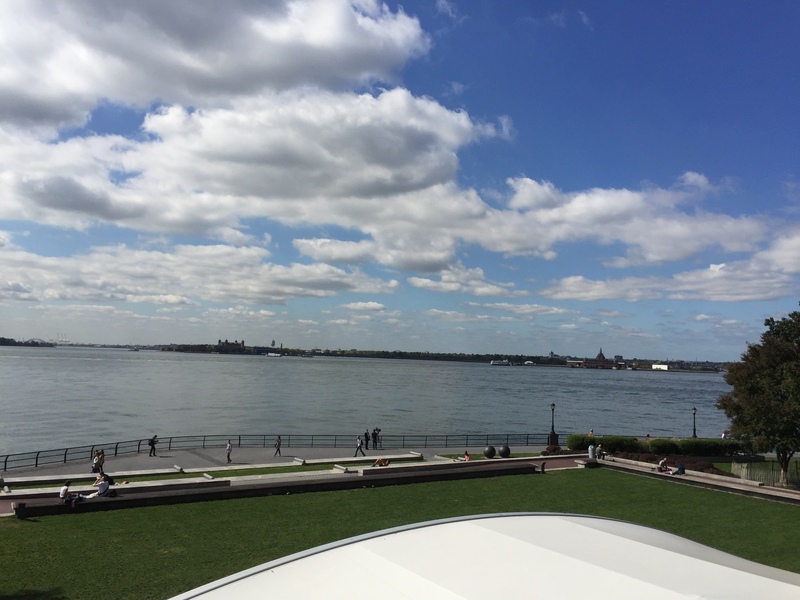 First and foremost is of course the Battery Park promenade where you can enjoy the beautiful view of the water, sneak a peak of the Ellis Island and of course the famed Statue of Liberty. In all honestly the view is breath taking and personally I can stare at it for hours. 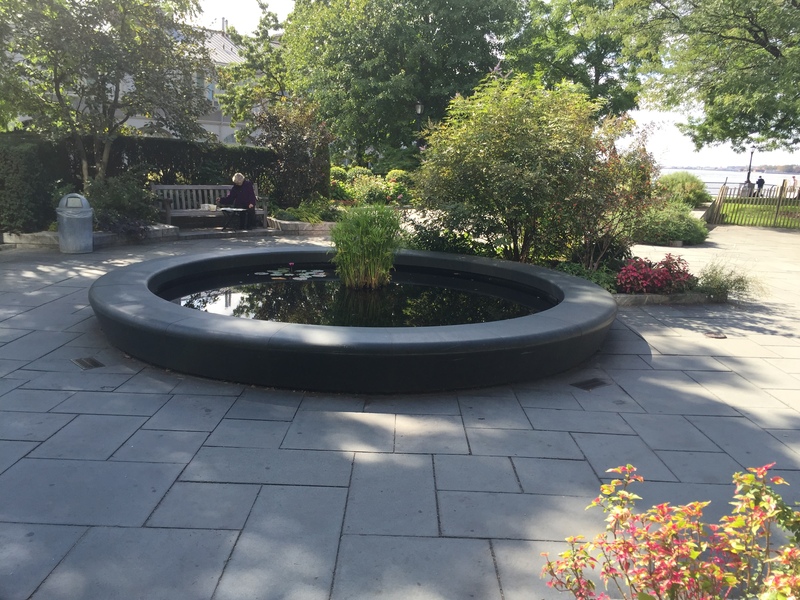 Battery’s many gardens are worth a mention as they provide for serene atmosphere in all seasons if weather permits. 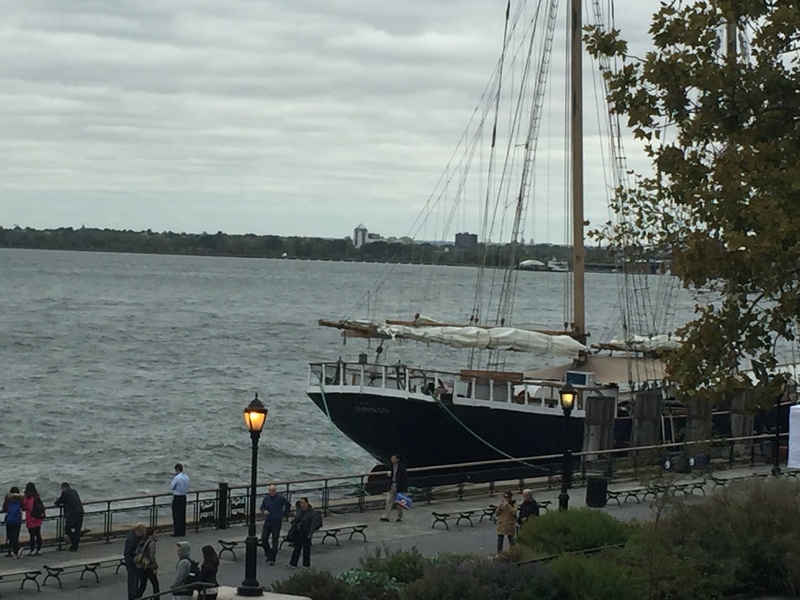 Battery Boats are a great way to see the park and skyline from the water, and if you are looking to visit Ellis Island and Statue of Liberty then ponder no more and buy a ticket for Statue Cruises. You will also find many monuments and memorials scattered throughout the park, and there is a couple worth mentioning. First and foremost is of course The Sphere. 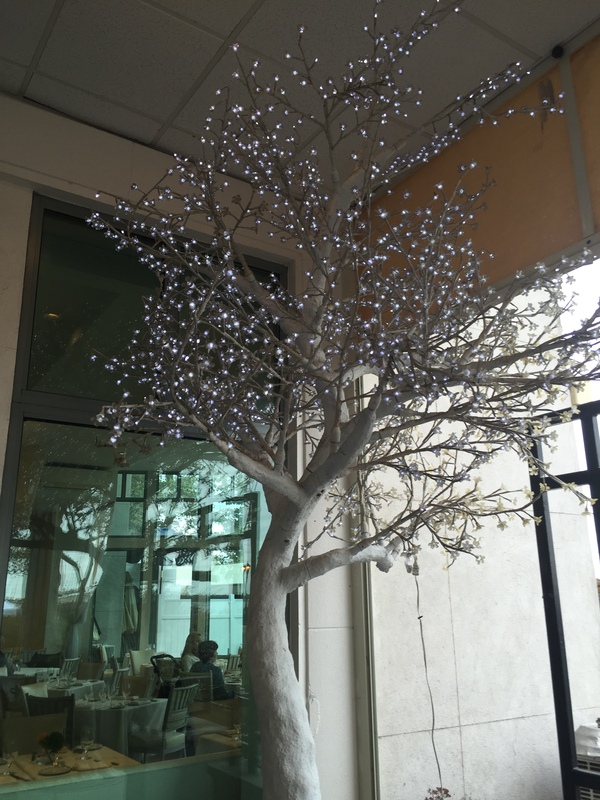 This art work was salvaged from the WTC site after the 9/11 attacks and stood between the two towers from their erection in 1971 to the unfortunate events in 2011. 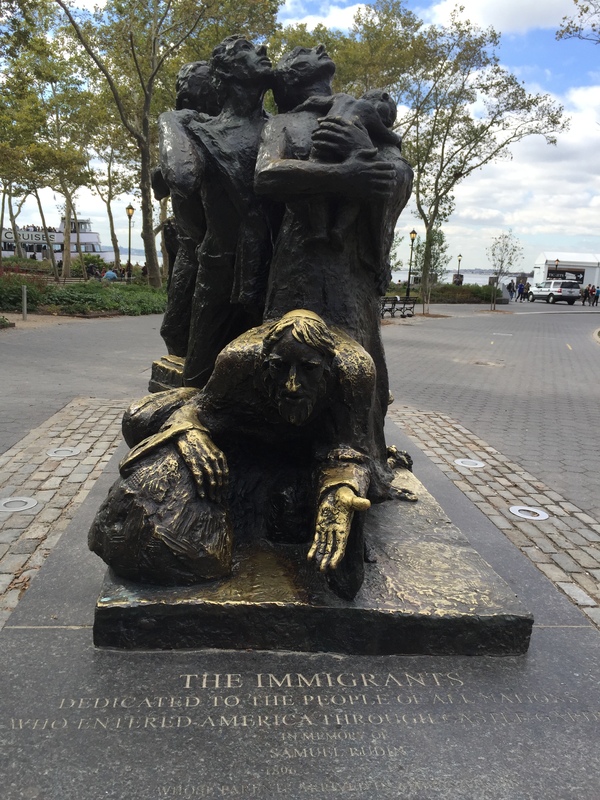 Another memorable monument that is worth the mention is the East Coast Memorial in the form of a huge bold eagle, and do check out the Immigrants statue which is a perfect piece to add to the history of the place. 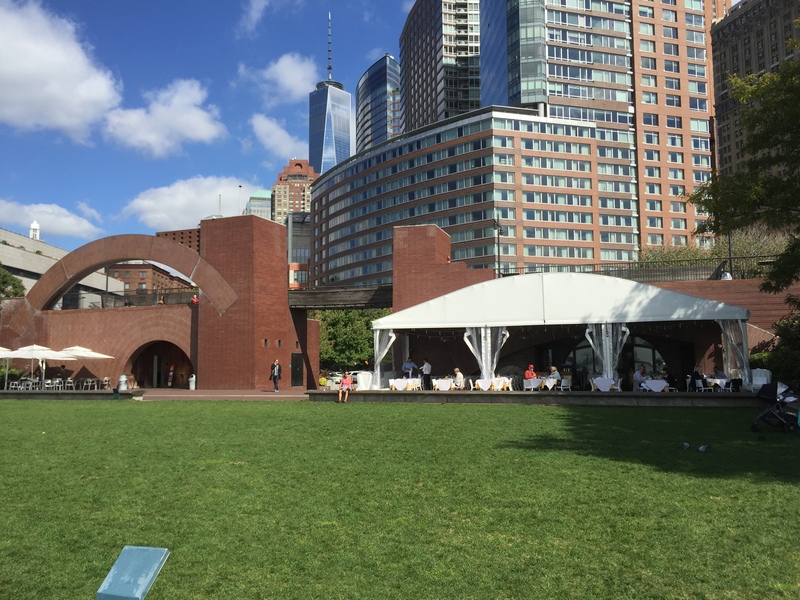 The park also provides various workshops, activities and tours and you can learn more by following the link here to The Battery Conservancy. 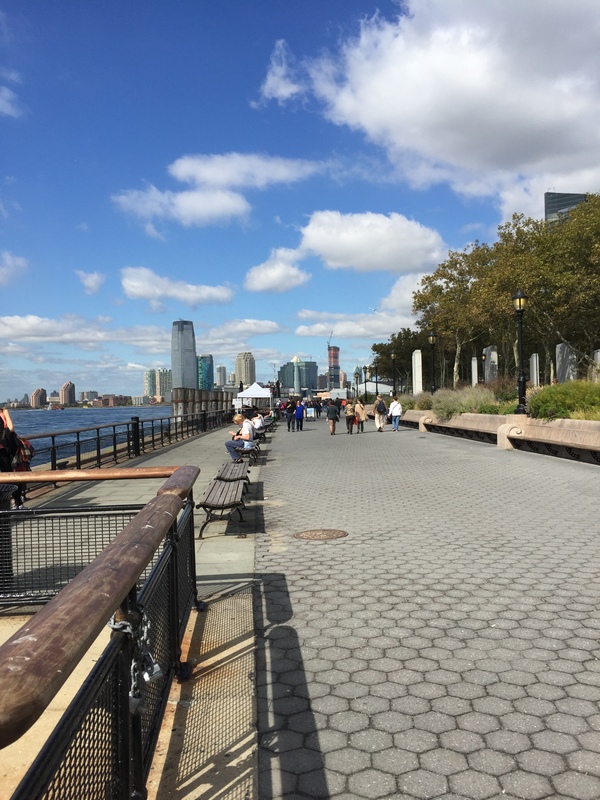 Should you get hungry – Battery Park offers a number of options! If you are just looking to grab a sandwich or salad and enjoy the view, head over to Table Green or grab a good ole NY Hot Dog from a number of hot dog stands that are spread across the park. However, if you are looking for a sit down meal then think no further as I have the perfect place depending on your taste! For a good Italian meal, head over to Gigino’s at Wagner Park. This restaurant sits facing the beautiful water scene and you can either sit inside or outside. My absolute favorite dish at Gigino’s is the rigatoni and sausage in creame sauce! Do give it a try even if it is not of a healthy kind :). Gigino’s does have healthier options for those that are not pasta impressed, and their menu ranges from various appetizers to pastas, to full entree’s and ofcourse rounding the list off with delicious desserts. Great meal to have before your excursion around the park. Another option is to head over to the Battery Gardens and have a sit down meal either in the main restaurant or if you are feeling more like a beer and some finger foods at their beer garden.Located at the beginning of the park, Battery Gardens offers a very diverse menu should you be in the mood for pizza, burgers, steaks or salads so it caters to every taste that might come through the door. I have had the pleasure of dining here on many occasions and I must say, nothing beats a nice meal with great service and a beautiful view. 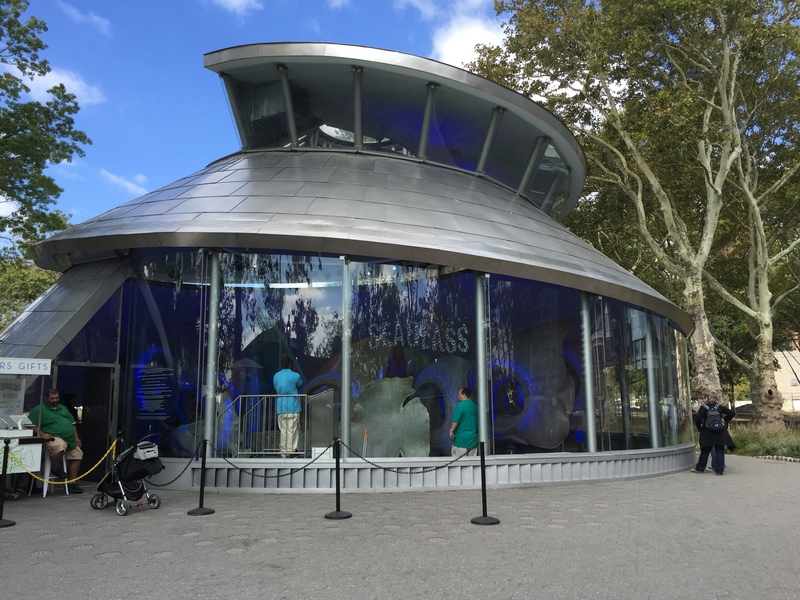 Since you will be in the vicinity of the Sea Glass Carousel that is located right across from Battery Gardens, do yourself a favor and snap a few pictures or get on the ride! 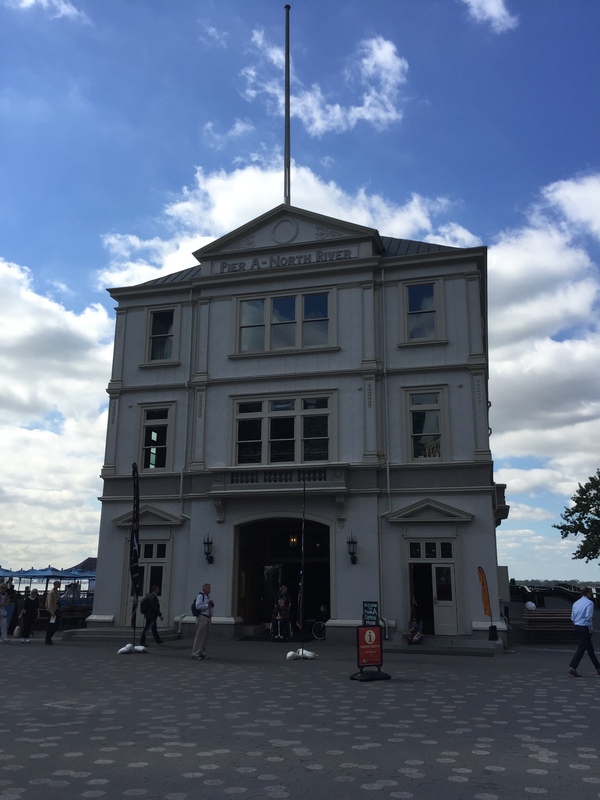 Last, but never the least on my restaurant list at Battery Park is none other than Pier A. Housed in what used to be a fire house back in the early 20th century, serving lower Manhattan, Pier A is the latest addition to the park. It houses a bar on the first floor, sit down restaurant on the second, and a banquet hall on the third. The restaurant provides outside and inside seating, and as you have already guessed, should you choose to sit outside you will not regret it as you will have the most beautiful view to enjoy with your meal. 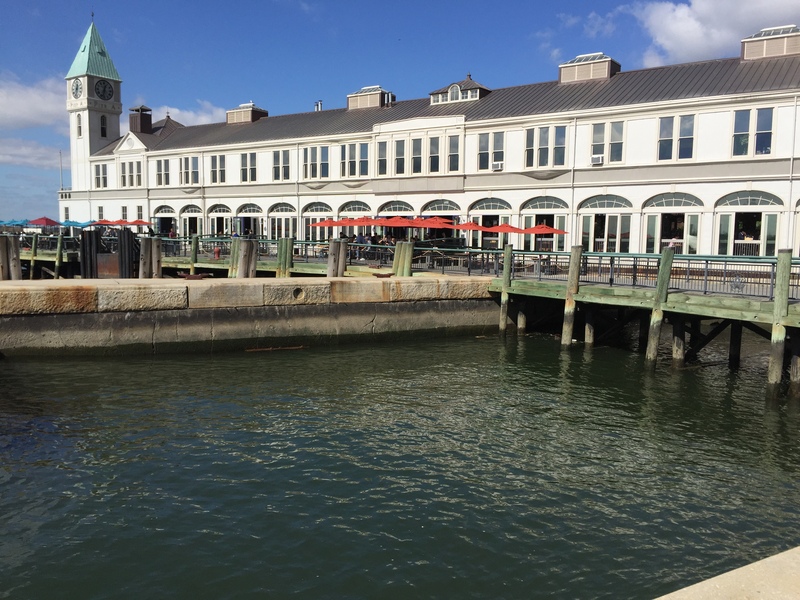 Pier A’s specialty is pretty much sea food, so you can never go wrong by ordering oysters, lobster rolls or anything else aquatic with a nice glass of beer. 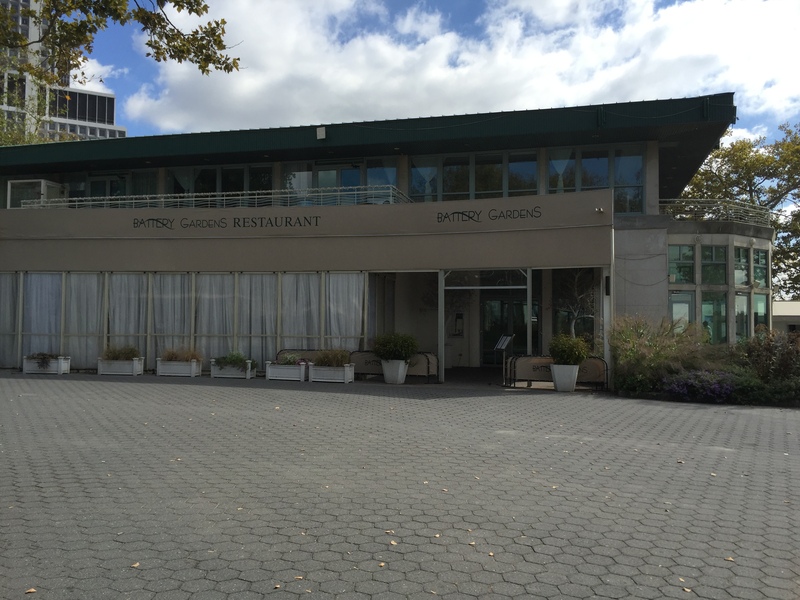 The restaurant does have a pretty extensive menu and you wont regret making it your choice while in Battery Park. 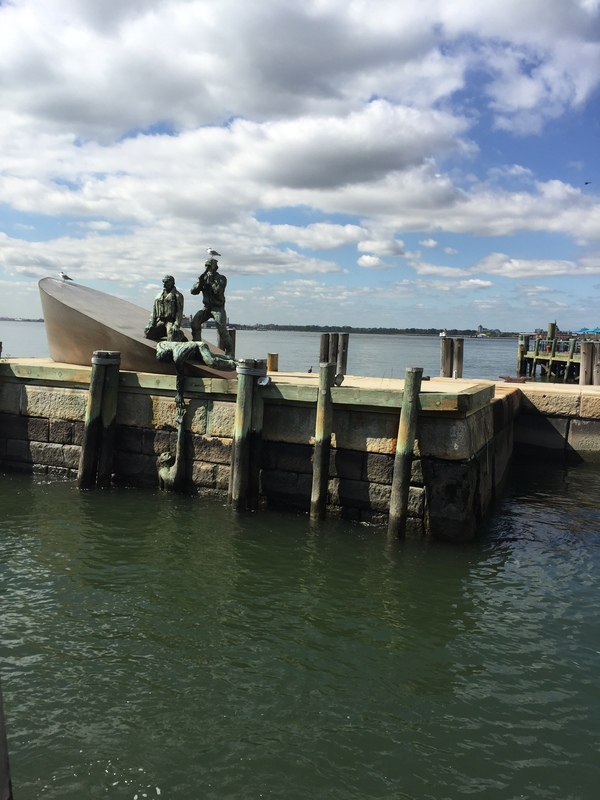 While at the restaurant, don’t forget to check out the American Merchant Mariners’ Memorial. I always found this memorial emotional as I just cannot help but invision the realness of this piece. Last, but never the least is the Castle Clinton. Castle Clinton is a National Monument that was built in the far away 1811. Its original intention was to serve as protection for the New York harbor in the anticipation of the bitter War of 1812 with the British. Thankfully, the fort never had to be used for this purpose, resulting in preservation of the site. Castle Clinton had many uses through out its existance, starting from the entertainment center and restaurant, immigration landing depo and NYC Aquarium which was later relocated to Coney Island, Brooklyn and it still sits there till this day. 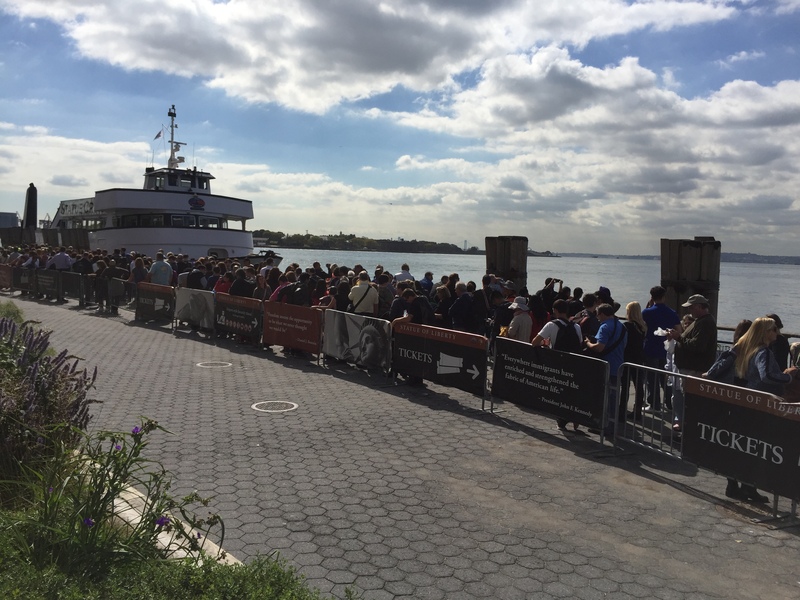 Today Castle Clinton stands as a monument and serves as a ticket office for Statue of Liberty cruises and tours. Visitors are welcome to walk in and take pictures inside of the castle as well as learn various history facts about the place. 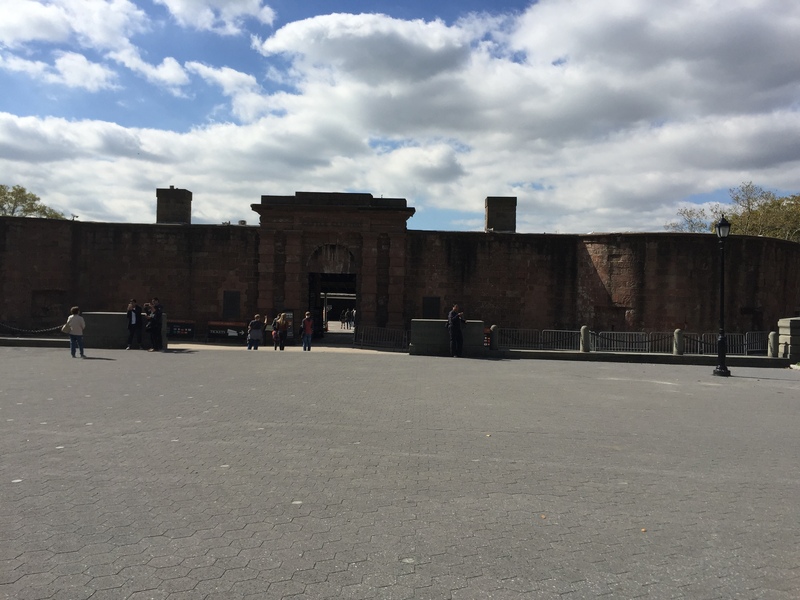 With that said, I will wrap up my post on Battery Park and I hope that this will inspire you to give this place a visit and experience its beauty and history for yourself.